Do you like playing "phone tag"? I don't either. If you have a question, the best way to contact me is by using the contact form. 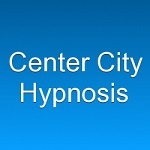 Existing clients can reach me at (267) 303-0036. Please note: I do not offer free phone consultations or respond to common inquiries over the phone. All Frequently Asked Questions are answered on the FAQ page. FYI: The office has no waiting room or reception area. If you can imagine an office from an old private detective movie, you'll have the right idea. I hope this is a polite way of saying: if you're very early for your appointment, that's great, but I may be working with the previous client and unable to answer the door. However, feel free to knock on the door if you arrive early; I don't want you to wait in the hallway if I'm not busy --- if we are occupied then I will just ignore the knocking. There are many coffee shops and stores in the immediate area which can provide a relaxing diversion until your appointment time. Thank you for your understanding! 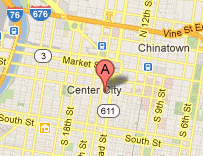 As of March 2017 a medical practice moved into the office space next to mine, they are called "Center City Medical", but I am not affiliated or associated with them in any way. Please note my suite number is 908. Click here to view Google Maps directions to the office. Click here for an interactive map showing easy access using mass transit from all PA suburbs, New Jersey and Delaware. The office is a 3-block walk from SEPTA Regional Rail's Suburban Station and City Hall. The Walnut-Locust stop on the Broad Street Subway Line is on the same block as the office. Click here for a map showing info specific to PATCO speedline riders, showing easy access from many locations in South Jersey. The PATCO stop nearest to my office is the 15th and Locust stop as shown. The office is at 15th and Walnut so it's just one block away.